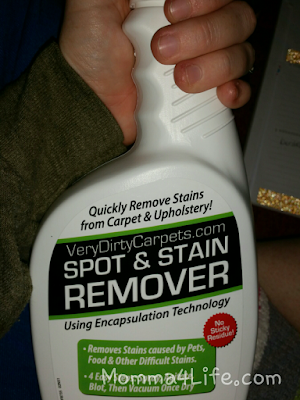 I have a dog and you know when you have pets weather it be dogs, cats, regardless you are going to need a good spot and stain remover like this Very Dirty Carpets Spot and stain remover. 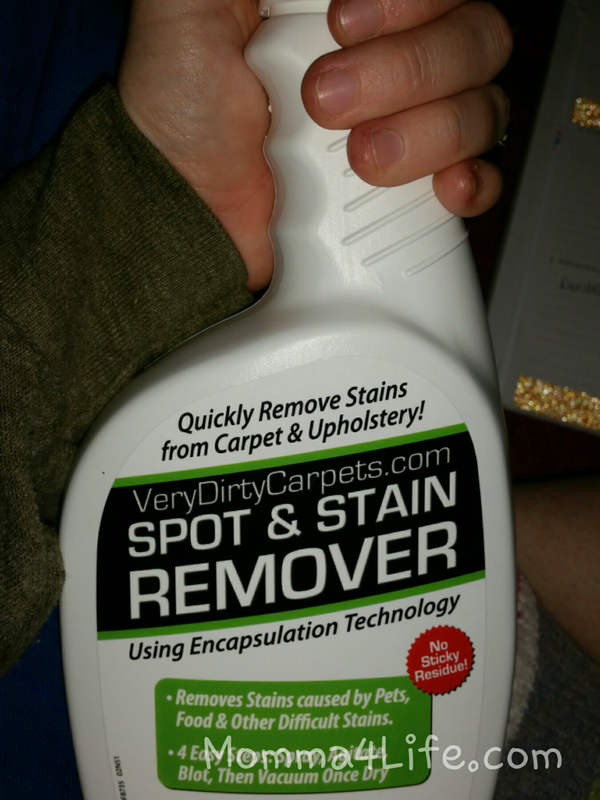 I know I have noticed a lot of stains around the house and sometimes it's hard to get them out but with this new stuff it's a lot easier. This stain remover is really great with removing old and new stains on the carpet. This stuff is amazing the stain came right off the floor. This is one that has been here for a while. It set for about 2 minutes and I started rubbing it and then it was gone just like that. 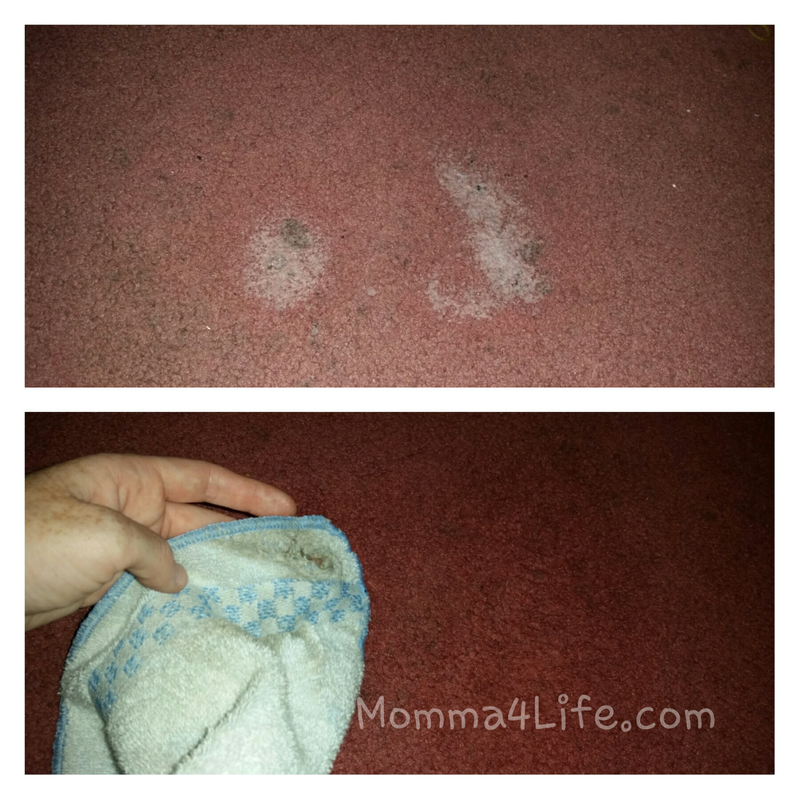 You can see above what part came came off the carpet to me that is amazing I have so many problems getting stuff like this off the carpet all around the house.